Mix and match our new Notre Dame collection of hand-painted decorative tiles to create an eclectic yet coordinated look and express your sense of style. Or choose from the four unique pattern designs one style and create something visually stunning in a key area of your home. 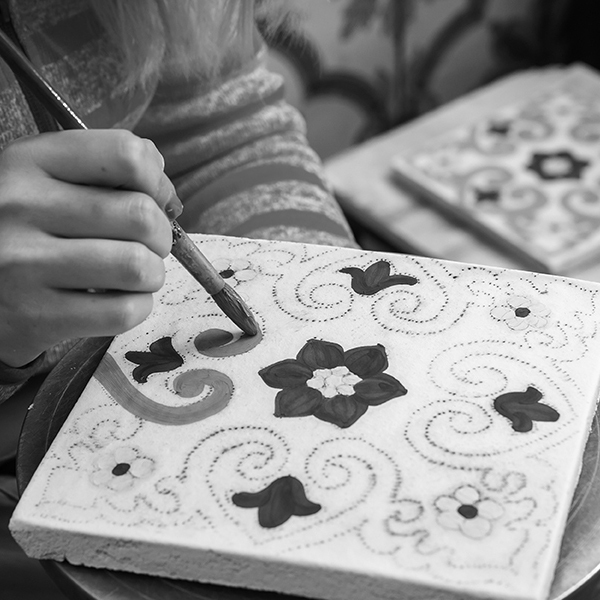 Notre Dame tiles are meticulously hand-painted giving an authentic and individual charm to each tile. The generous brush strokes of the brown and grey paint act as a tactile backdrop, and provide a sharp contrast to the intricate white patterns. 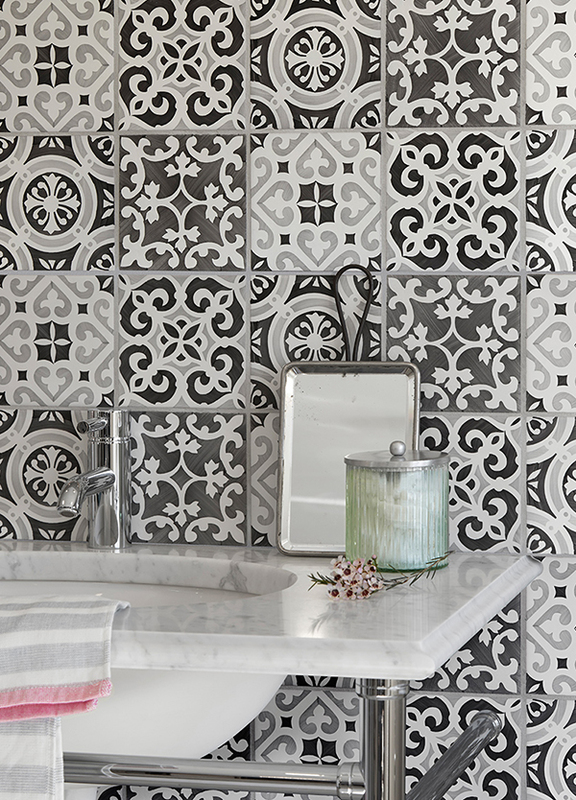 Notre Dame tiles are a great way of introducing pattern and texture into an interior design scheme. They can be used to cover an entire wall for dramatic effect, or as a splash back for a subtler look.